LOVE... Knock ‘em dead creative? 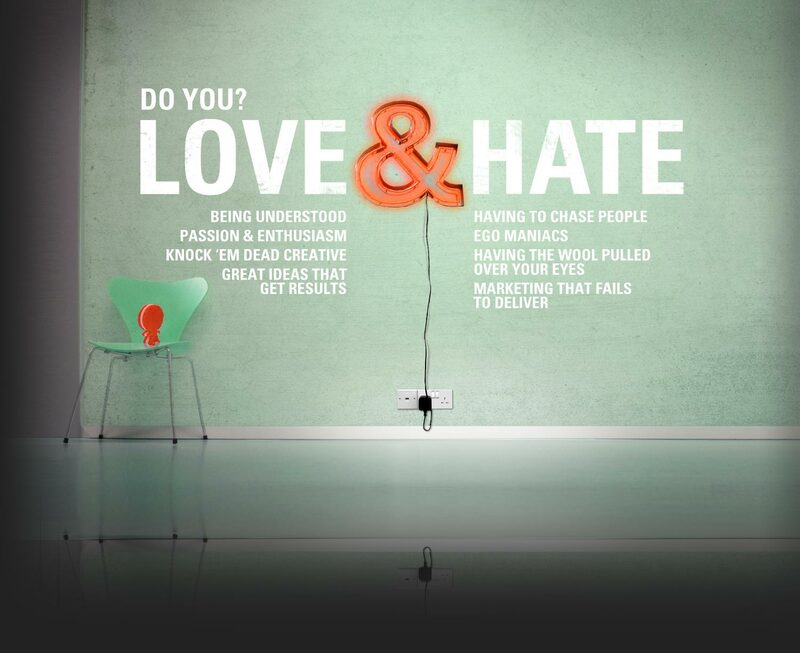 LOVE... Great ideas that get results? HATE... Having to chase people? HATE... Having the wool pulled over your eyes? HATE... Marketing that fails to deliver? WIN... New friends & influence people! HELL... If you didn’t call!